On the road between Henencourt and Baizieux, south of the village of Warloy-Baillon, is the Moulin de Rolmont. Typical of those in the region it is a stone tower that in 1914 was a fully working and functioning windmill. 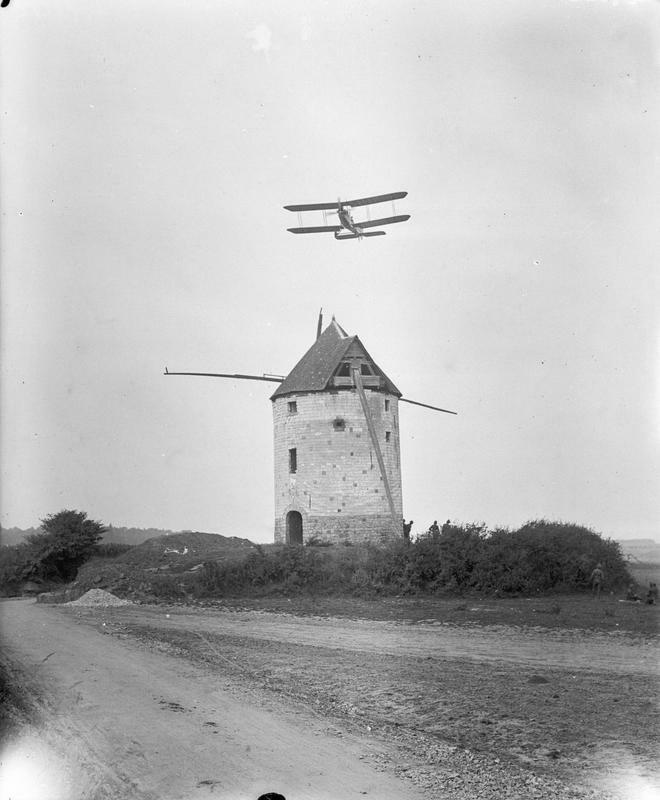 In 1916 the windmill was well behind the lines in what was a rest area for the British Army, and close to a Royal Flying Corps aerodrome. It was photographed by official photographer John Warwick Brooke on 25th August 1916 (see below) which shows it was still intact at that point. This area was very close to the front line by March 1918 and during the next five months many buildings in the area were damaged by shell fire – including this one. Today it remains as a little known Great War ruin but is in the safe hands of a local association who are working to keep it safe and make it open to visitors on a regular basis.